The Boulder is included in our hip Urban Denim collection. 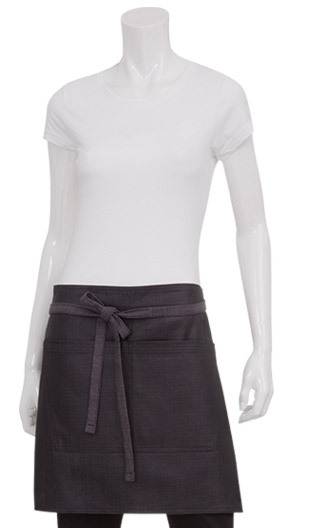 It couples the modern "street wear" style with the practical functionality of a denim apron. 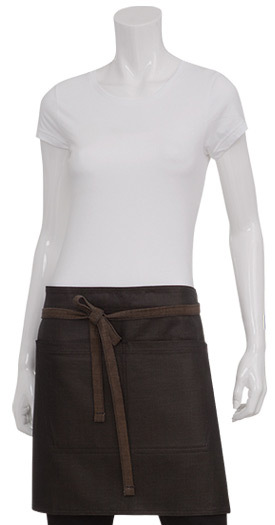 The 100% cotton denim apron is reinforced with stress points, accented with reverse fabric ties (in either brown or purple) with grommets, and features a large divided front pocket. 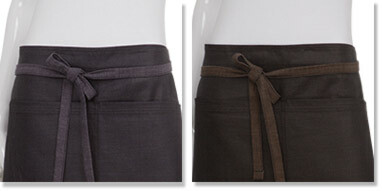 The fabric is finished with a resilient waxed look. Available in black-brown and black-purple and size: 18"L x 31"W.
*PLEASE NOTE: due to the unique nature of the dyes and special wash treatments used on this garment, the color will fade and change. Wash and dry on low temperatures. Cool iron on reverse side only. Do not dry clean.